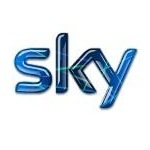 Sky brings a whole world of entertainment into your home. Build your own TV, Broadband and Mobile Phone package. Discover the future of entertainment with Sky Q. We’ll show you how you can record and store more of your favourite shows and turn your Q box into a Wi-Fi hotspot using our Broadband Hub. Explore our best ever box with a demonstration in store today.